Happy Birthday to me because this machine is amazing. I bought the Cricut Maker for as a birthday gift to myself. Did you see the picture on Instagram today? I just opened the box. 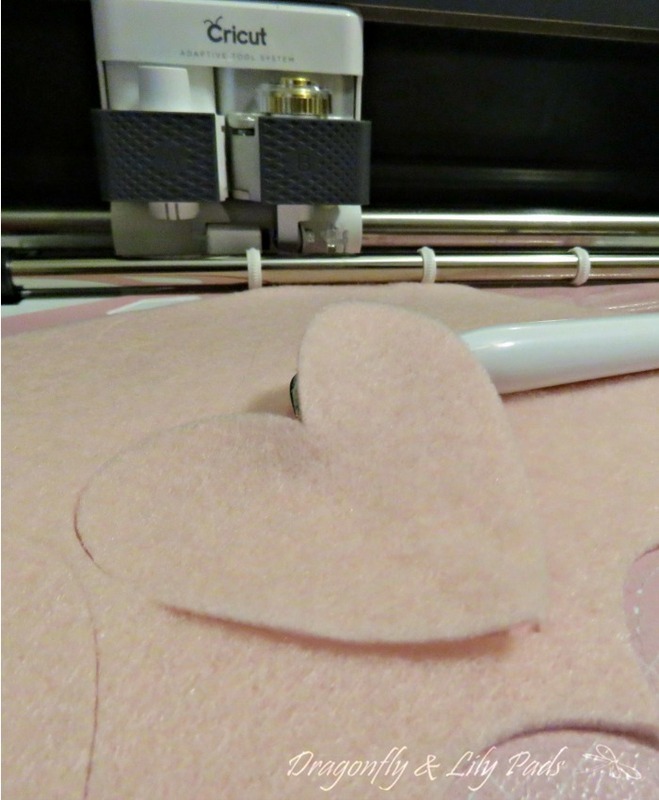 Within moments I was cutting felt which took less than 15 seconds to cut eight perfect hearts. OMG! 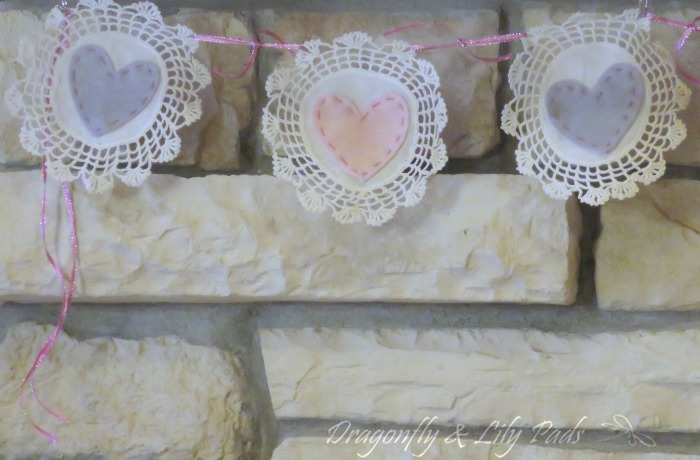 Thursday I will provide a detailed tutorial for the vintage heart Valentine's Garland with link to this post. 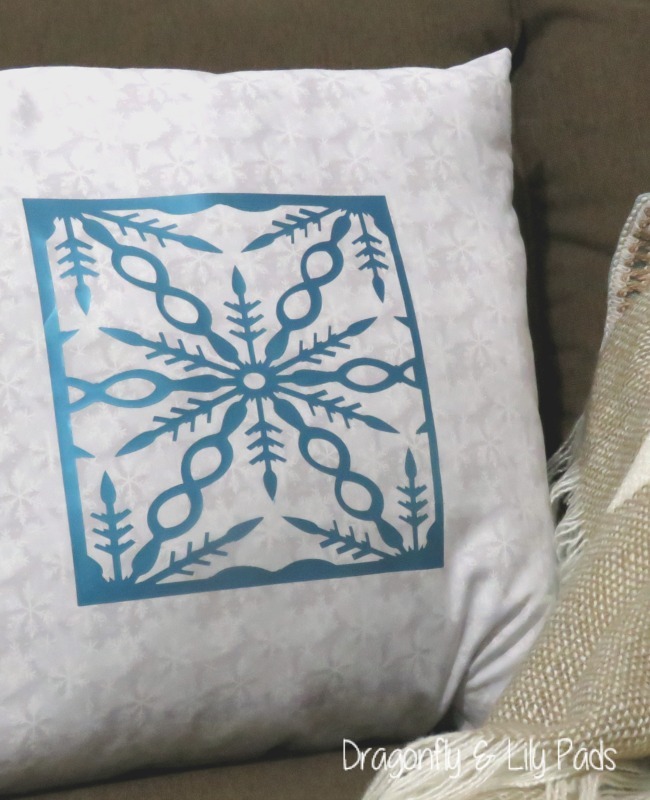 Forty Three makers are spending the week sharing Cricut Valentine's projects with you. You will find the remaining projects included at the end of this post. 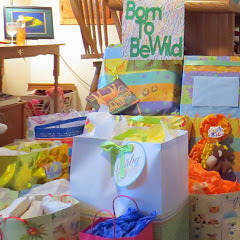 Please show us some love by pinning, commenting and sharing. This vintage set of coasters found in a recent clean up project had me thinking about Valentine's Day decorations the moment they appeared. I wasn't seeing Red for this season of decor, but a softer more subtle idea was dancing in my head. 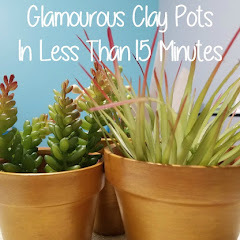 This is an amazing time saver with crisp cuts. Insert squealing with delight here!!! No fuzz or scissors needed to snip a partial cut with this incredible rotary blade. 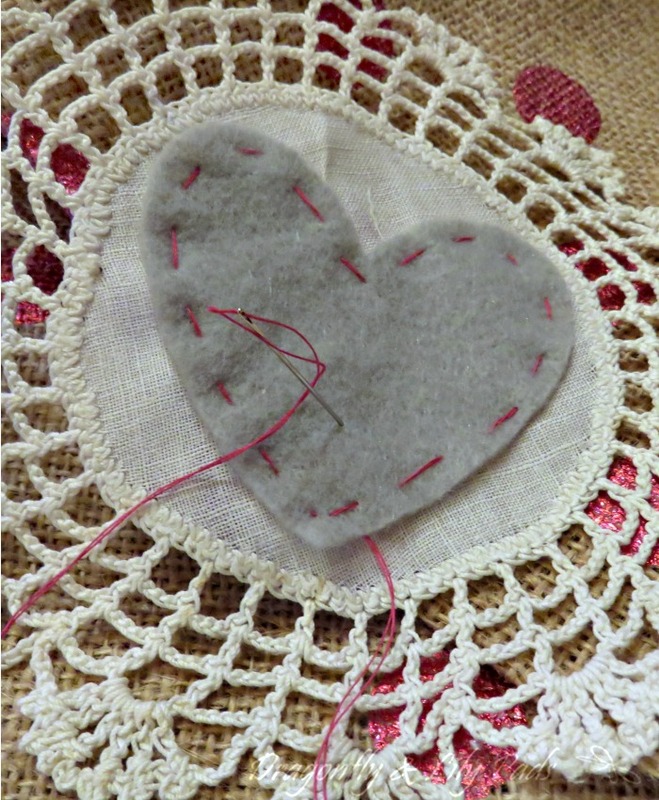 You could glue the hearts on with fabric glue, or iron them on with pellon to make the project easier if sewing is not your thing. Adding the stitches of hot pink thread during a television show provided an outline plus homespun look to the garland. While you look close up in this photo you can see the impact the stitches provided against the lighter shades of pink and gray. 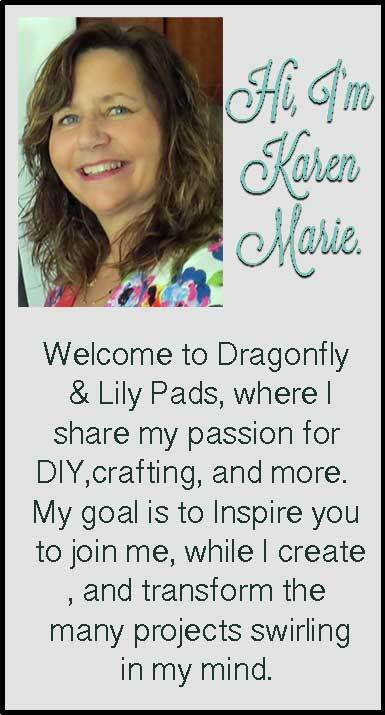 Follow me on Pinterest to see all 43 projects. 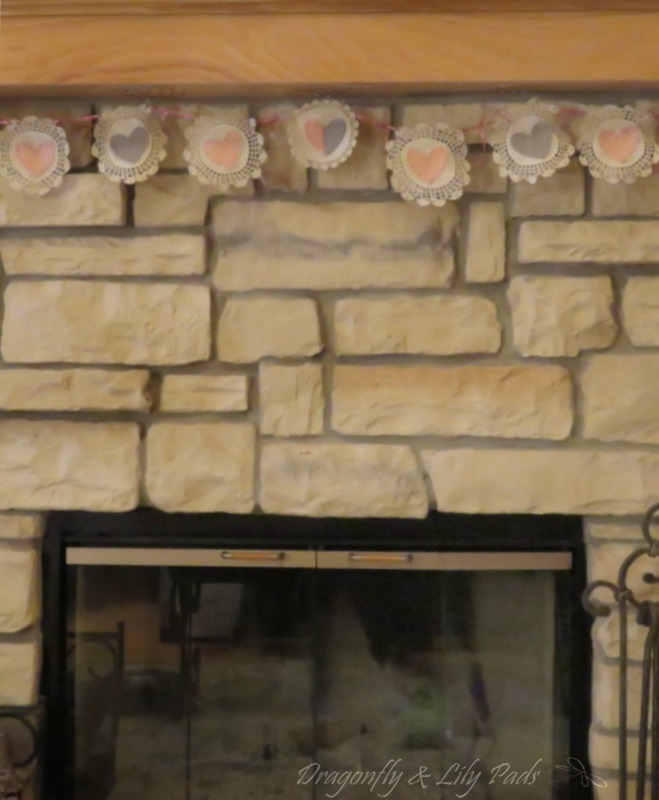 Here is pinnable image to save the Vintage Heart Valentine's Garland. I hope you 💖this sweet project. 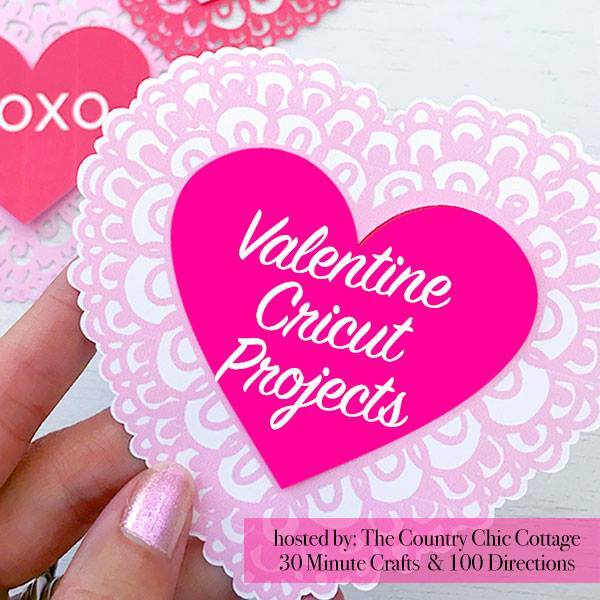 Thank You Angie, Caroline and Jenn for hosting Valentine Cricut Projects this week. Gorgeous! I am dying for a maker but I am holding back. If I sewed I think I would get it in a heart beat. Gorgeous! I want a maker so badly but I just can't justify it yet. I think if I sewed I would have one by now! How sweet, at first I thought they were paper. I love old lace and doilies. I also love my Maker. 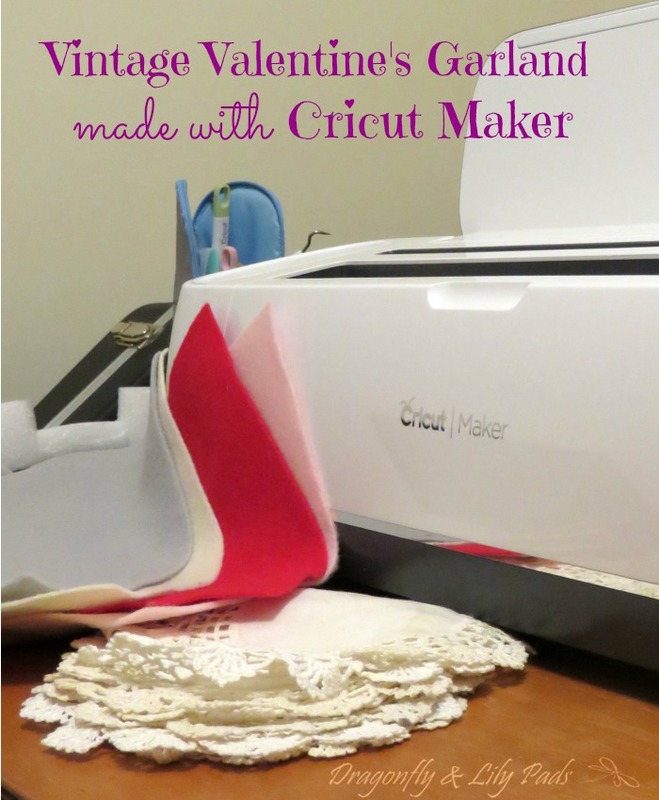 Visiting from the Cricut Valentine Link-up.